Cambron was a brand name used by a distributor Cambridge Camera Exchange with operations in New York. 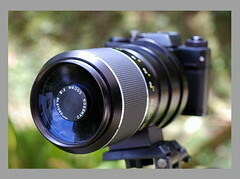 They are mostly known for their accessories such as lenses, extension tubes, meters, flash and tripods. This page was last edited on 22 October 2018, at 10:35.